Whatever corporation that Sasha Banks once headed up (we refer to it as Kfabn Corp.) cannot be happy with the fact that everything that made Sasha “The Boss” has almost completely disappeared since her move to the main roster. From the minute Sasha won the NXT Women’s Championship, it was clear she planned on dominating the scene by any means necessary; from squashing the hopes and dreams of other women such as happy-go-lucky Bayley, to making kids in the crowd cry, Sasha was THE Boss and made it clear to everyone. When WWE moved up to the main roster, she was placed in a random girl group labeled “Team B.A.D.” which was as bad as it sounds, but we all knew The Boss would shine and be on her own soon enough, which she was. From there Sasha went on to have a memorable series of matches with Charlotte Flair and traded the Women’s Title numerous times, but somewhere along the line, the fire was lost, and Sasha seemingly became…..nice. 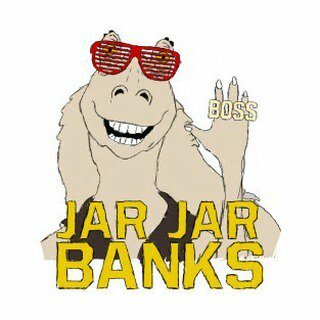 Jar Jar Banks – The New Boss? 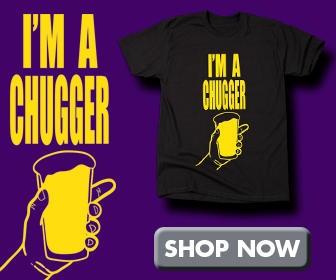 Shirt Available in the Kfabn Store! Gone were the days of making fans cry and cutting the other female wrestlers like Bayley down with vicious promos, instead, we now get Sasha being besties with Bayley and just loving each other so much that it almost seems……lesbian. Now THAT would be cool and things would have probably gone the “HLA” route if this was the Attitude Era, but in this era, it’s all just corny jokes and hugs. So now that Sasha is just “one of the girls” and wants to protect her friends and do nothing but good, Kfabn Corp. orders the immediate demotion of Sasha Banks from “The Boss” to plain old employee…that is until she decides to turn on Bayley, destroy her, and make all the kids cry once again….like a BOSS.